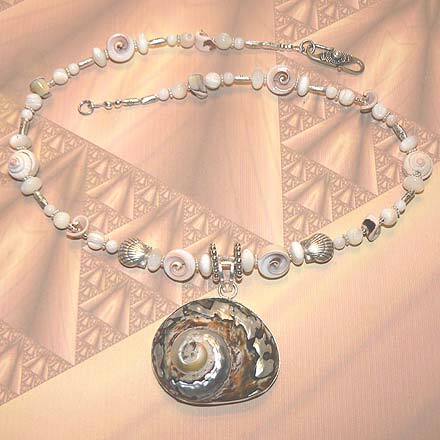 Shell and Mother of Pearl earrings, bracelet, necklace and close-up of necklace. 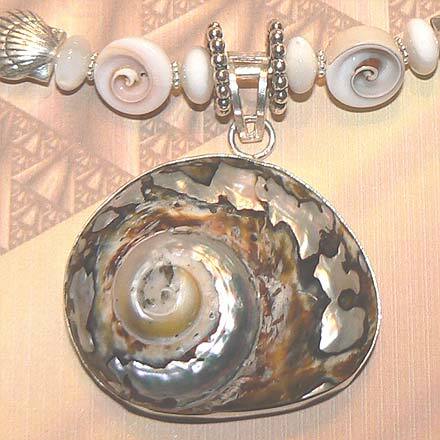 Sterling Silver Shell and Mother of Pearl Necklace. 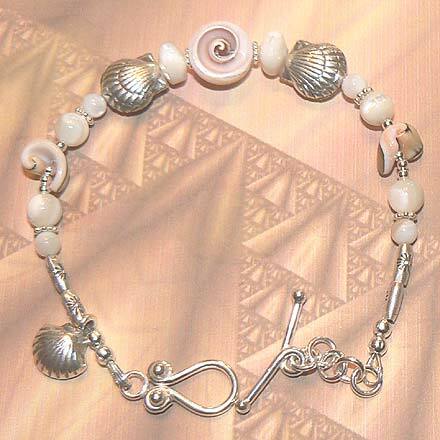 Sterling Silver Shell and Mother of Pearl Bracelet. 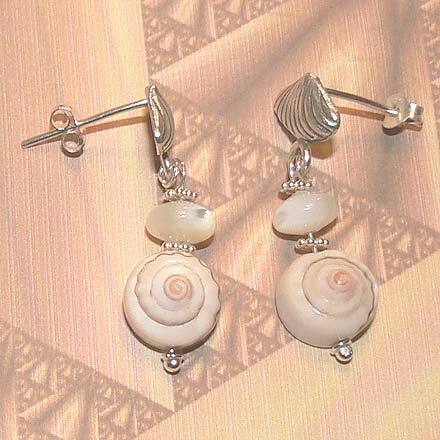 Sterling Silver Shell and Mother of Pearl Earrings. A collection of beautiful pinkish spiral shells. The shell pendant is iridescent and stunning…its beauty just can’t be captured in a photo. Sterling Silver Thai Scallop beads and findings highlight the pieces, as well as a pearl set in the necklace’s clasp.